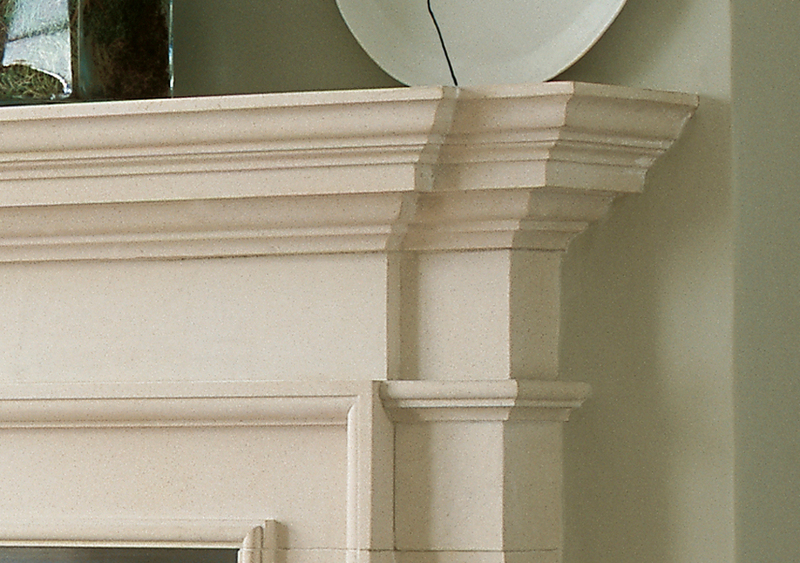 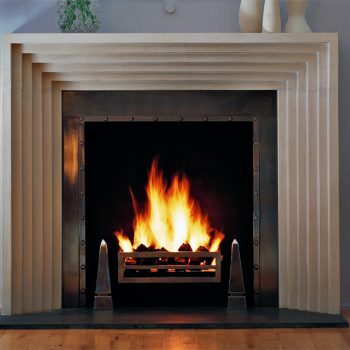 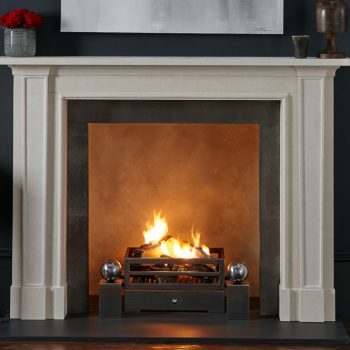 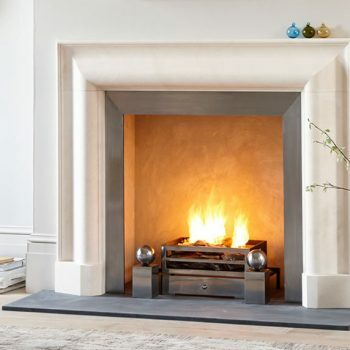 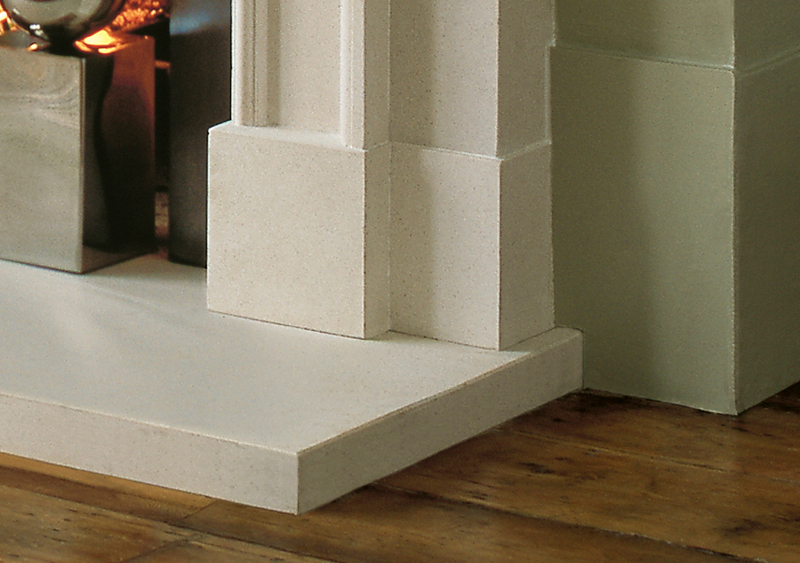 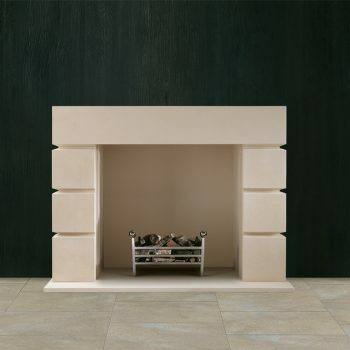 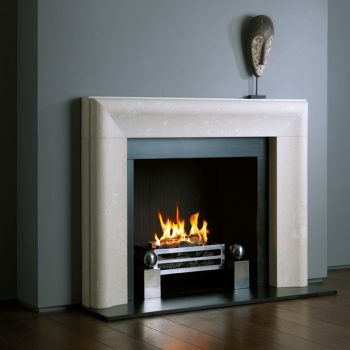 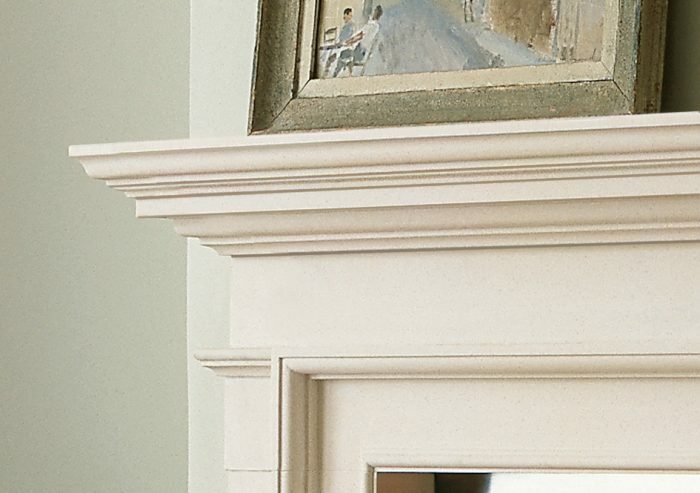 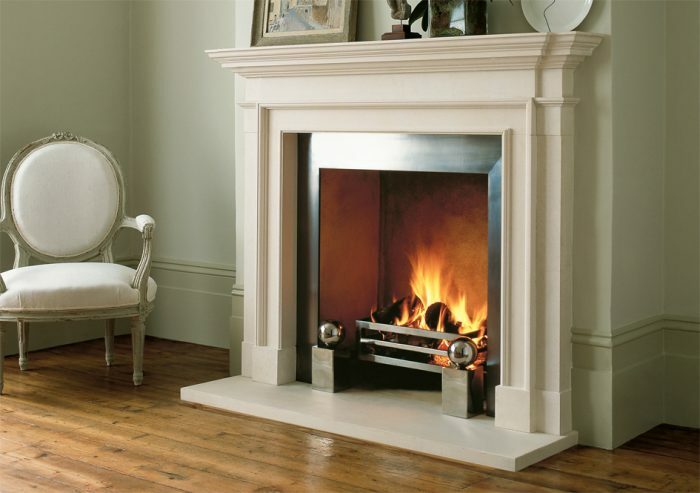 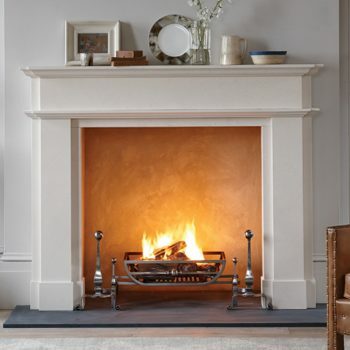 Chesneys Burlington fireplace is a timeless design carved from limestone, but is also available in statuary marble. 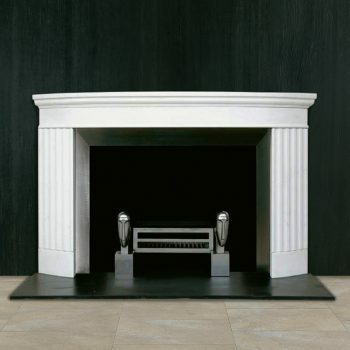 With its simple geometric lines and classical proportions, it will give architectural interest and a sense of scale to both modern and traditional interiors. 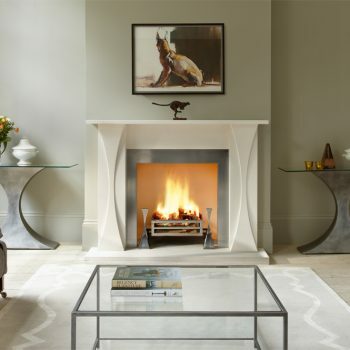 Shown with Modern steel slips, Soho fire basket for dogs and Spherical Steel fire dogs and matching limestone hearth.